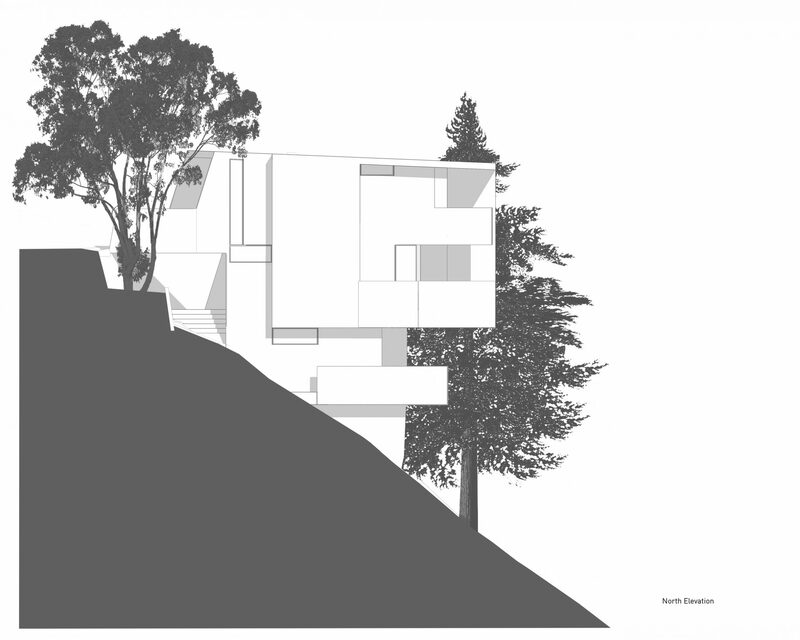 This project is an addition and renovation of a nearly failing mid century house perched on a steep hillside. It was designed for a young couple, who were attracted to the homes location with sweeping views of the ocean, above an urban setting. 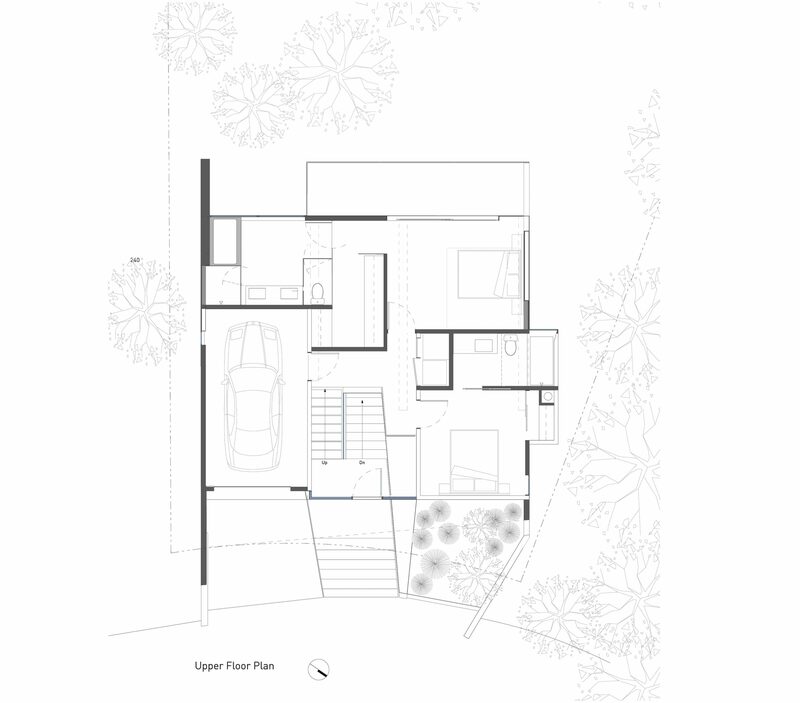 The house hinges on the southwest edge of an isolated hill and cantilevers through the mature cypress trees and over the sloping property of 36 degrees. The existing structure was carved out in the front and rear to accommodate outdoor space, bring in natural light and capture views of the Pacific Ocean. 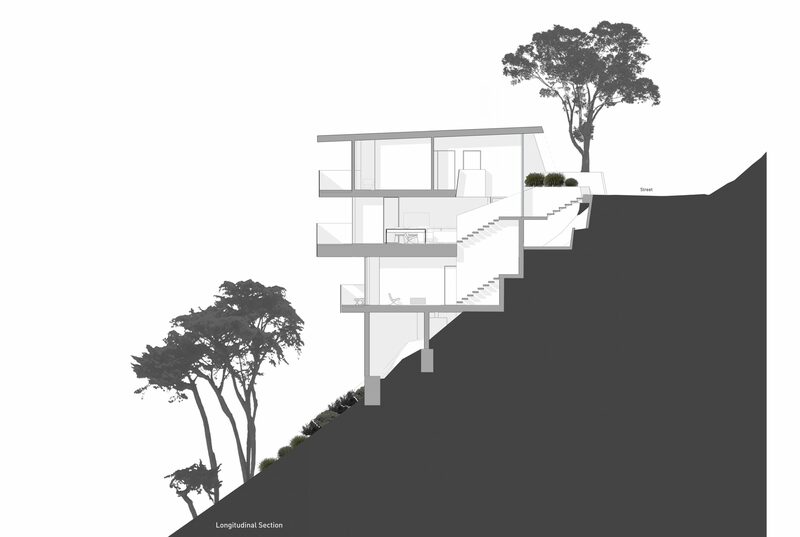 The three floor levels cascade downward and are linked with a stair volume at the core of the structure that doubles as a light well, pooling natural light down to the lower floors that are anchored in the hillside. 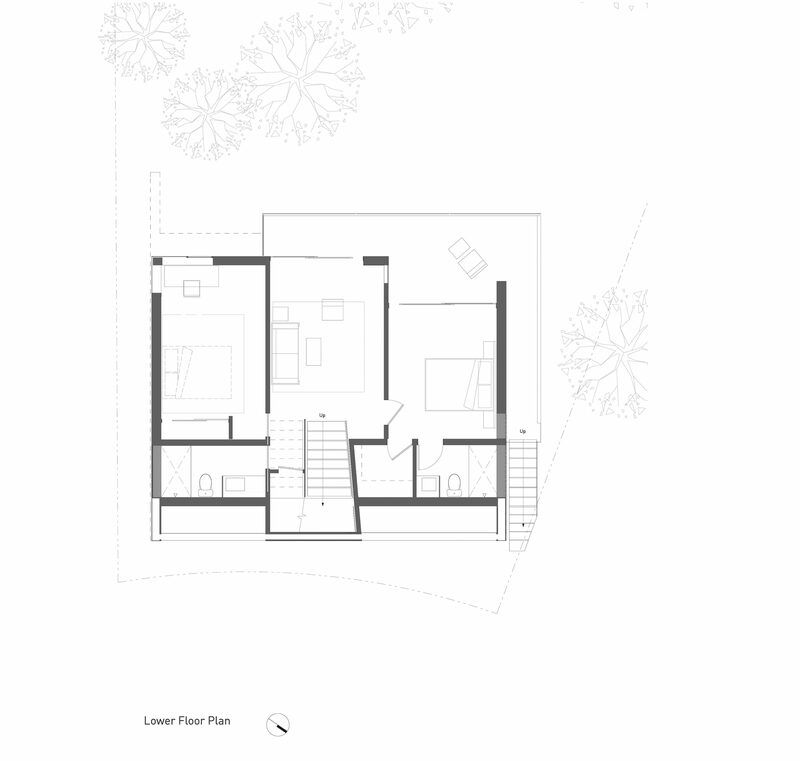 The dwelling is accessed from the top (upper) floor and houses the entry/stair, two bedrooms and garage. 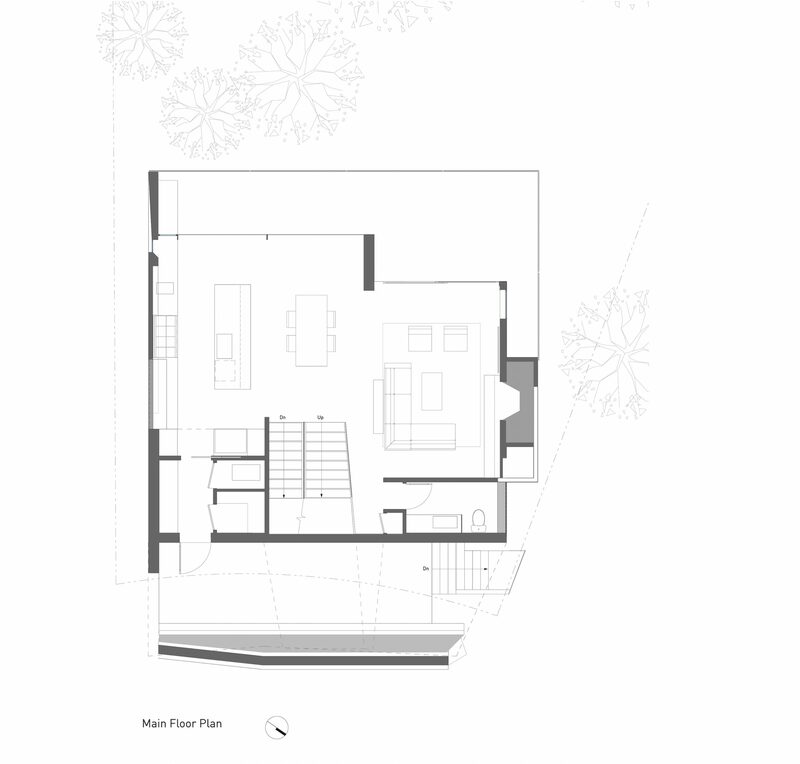 The main (mid) floor level, which comprises the main space, houses the kitchen, dining and living areas. 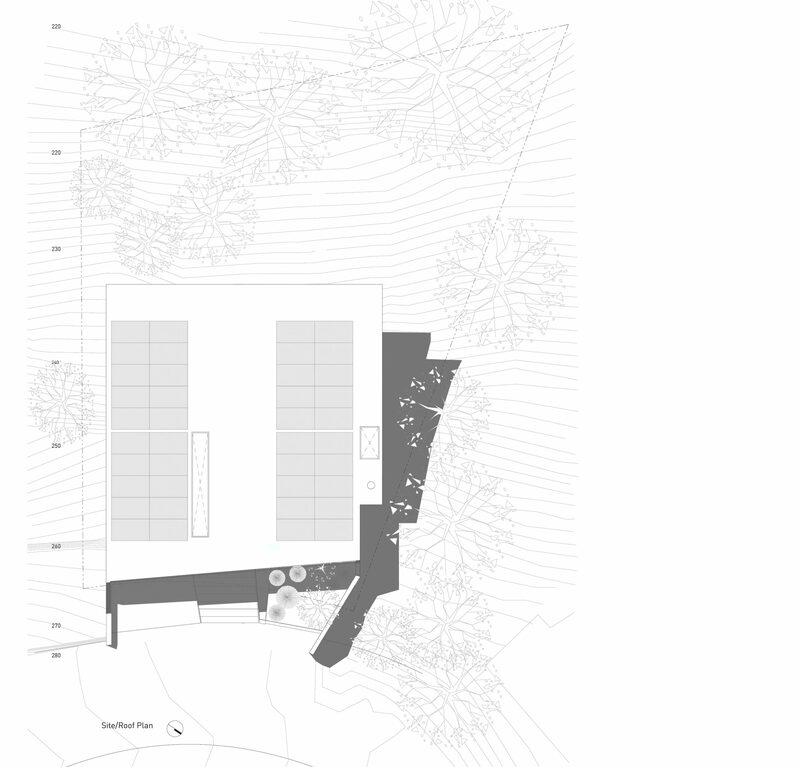 The main space produces large transparent openings or voids that open out onto a deck at the rear. The third (lower) level contains office/study and a game/media room that connects to the lower patio, which is nestled within the cypress trees. The cantilevered dwelling creates a juxtaposition and openness to its context by using extreme structural assemblies, transparency, and clean minimal detailing.